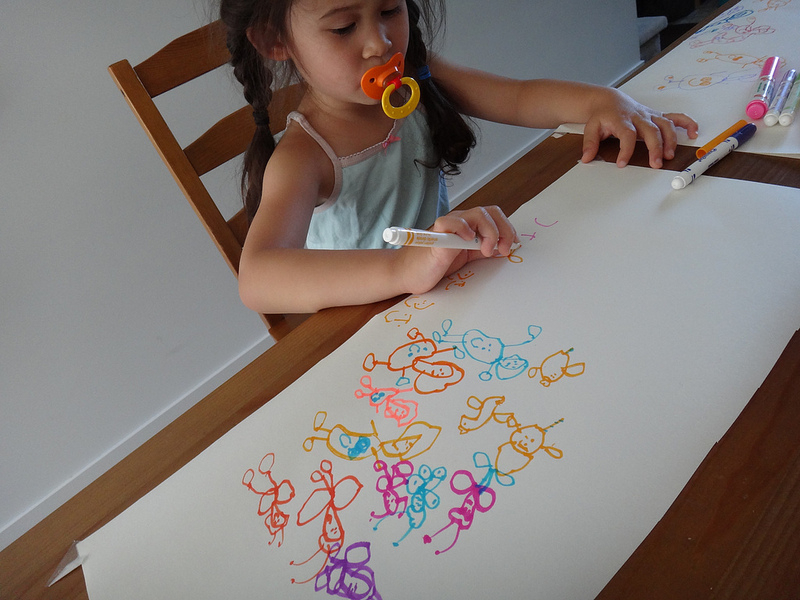 Jade’s Drawing: Winging It ! 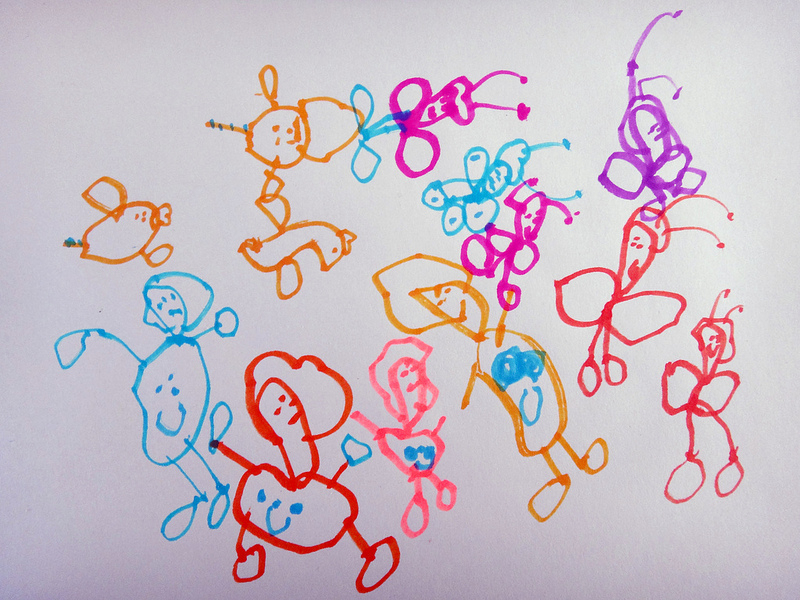 At this party, everyone is colourful and flying. 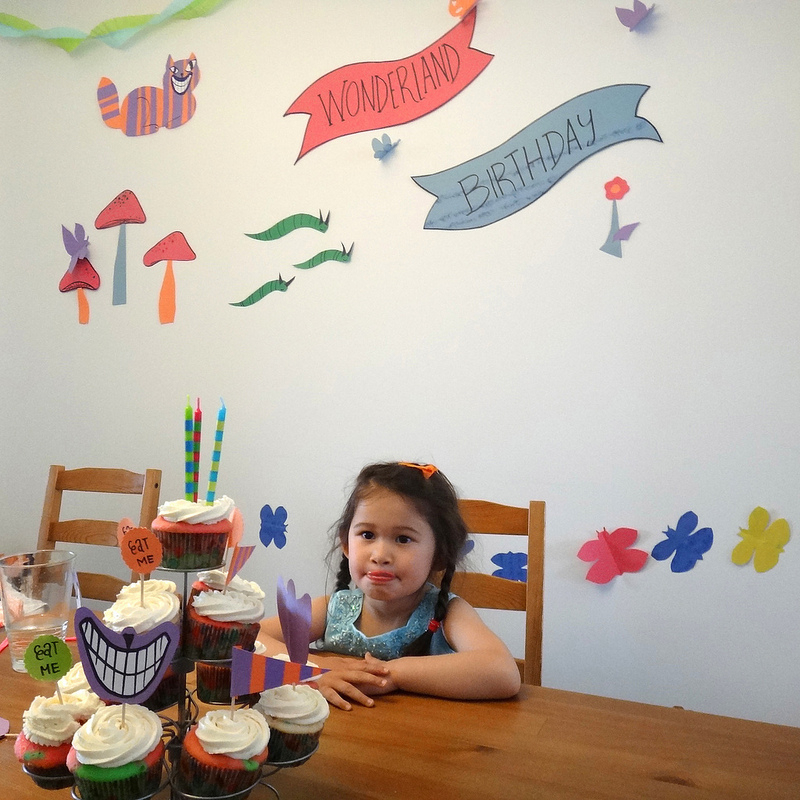 Our family had an “Alice And Wonderland” theme for Jades’ birthday. My wife had a blast creating the amazing decorations !!! 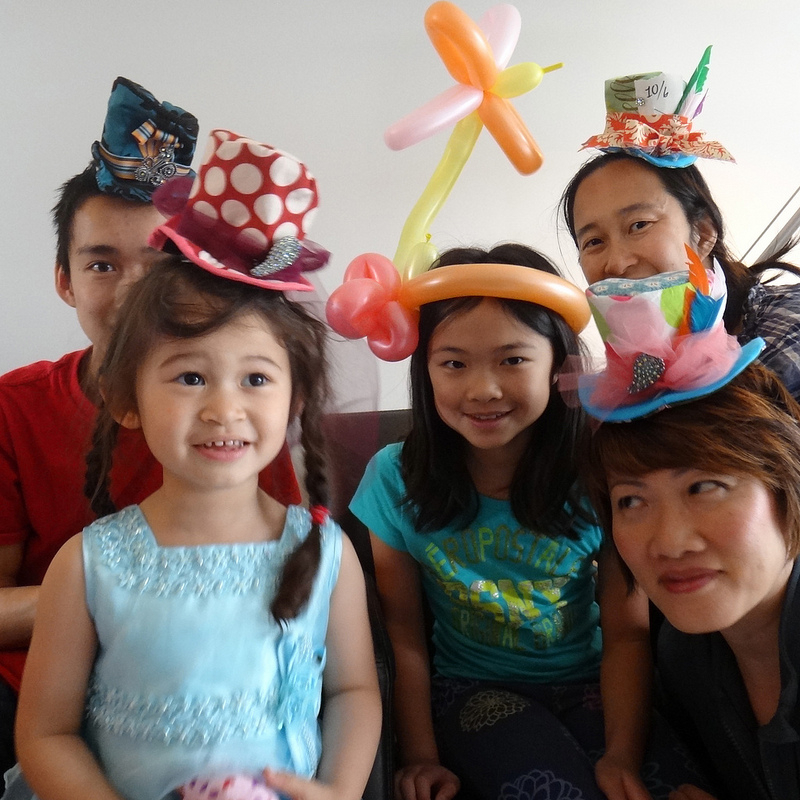 Mad Hatter Tea Party … My wife made the hats … and I learned to make balloon hats. 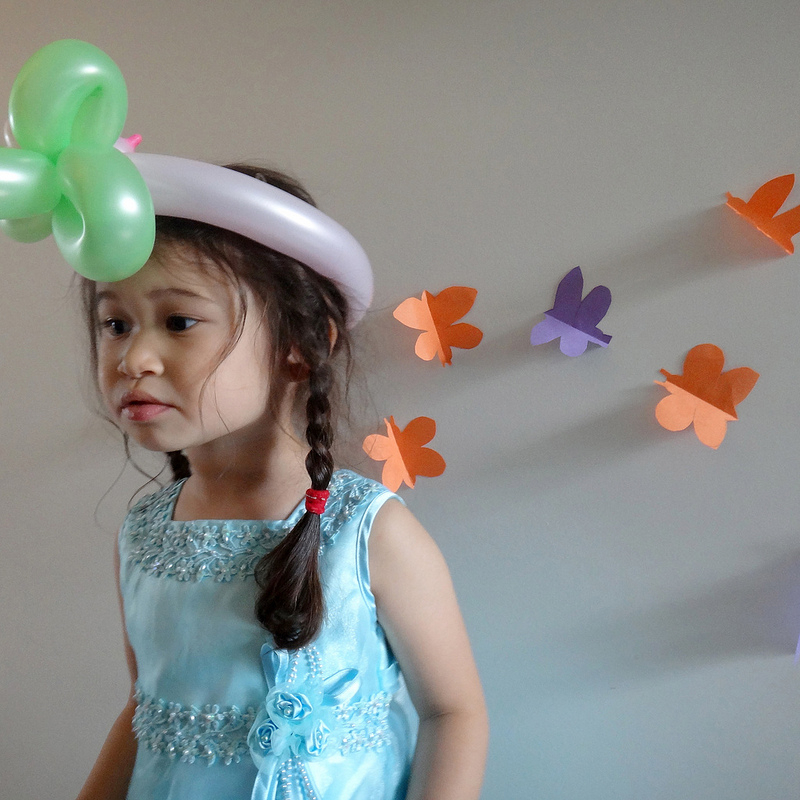 Jade stuck the butterflies on the walls for the party. 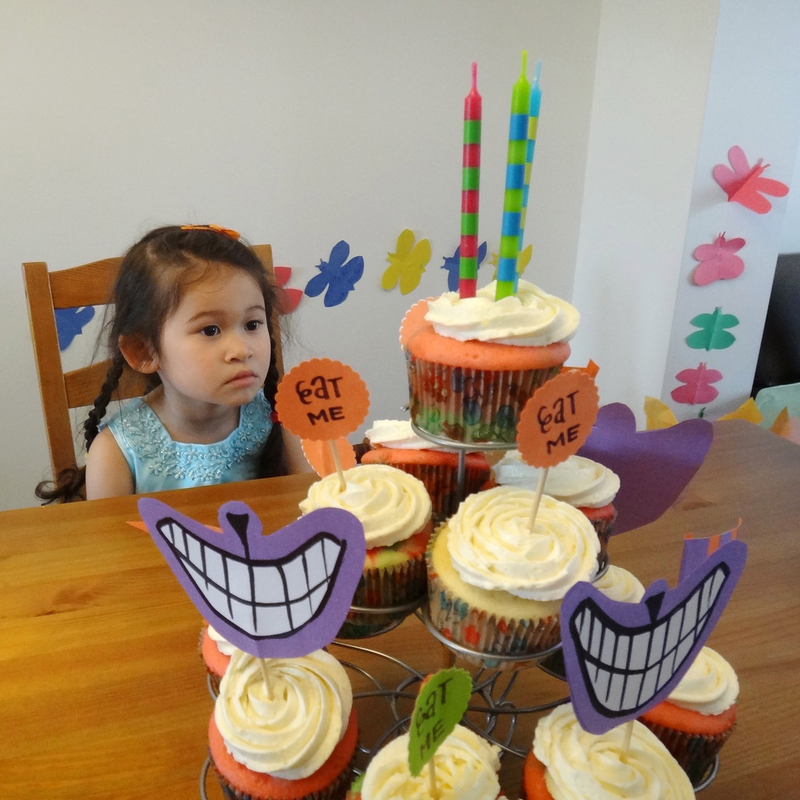 My wife made cupcakes with cheshire grins. 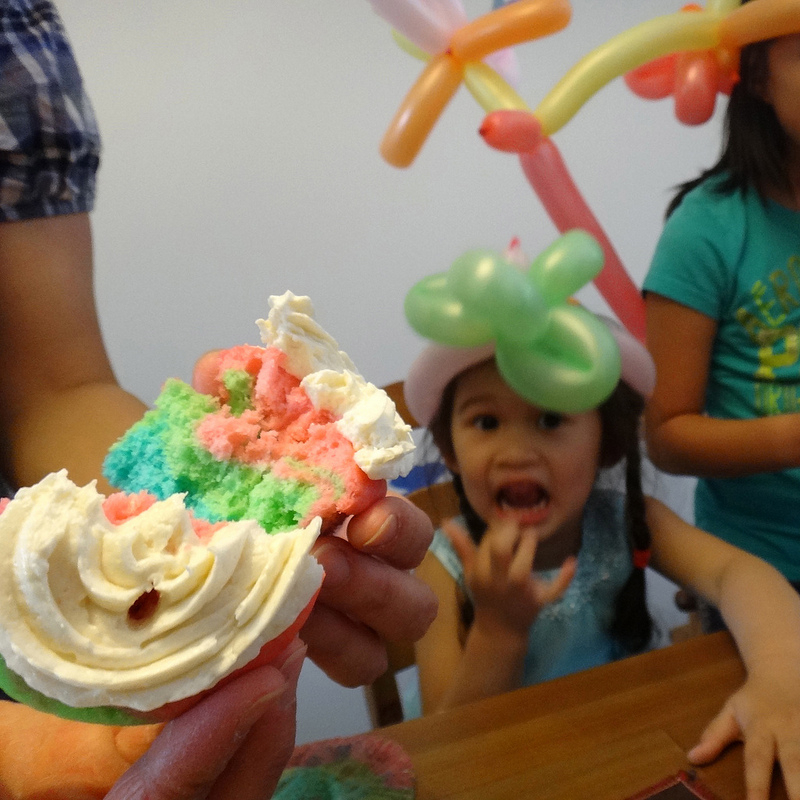 Colourful rainbow cupcakes. Jade had such a fun time!